In every community that thrives there must be growth and change. 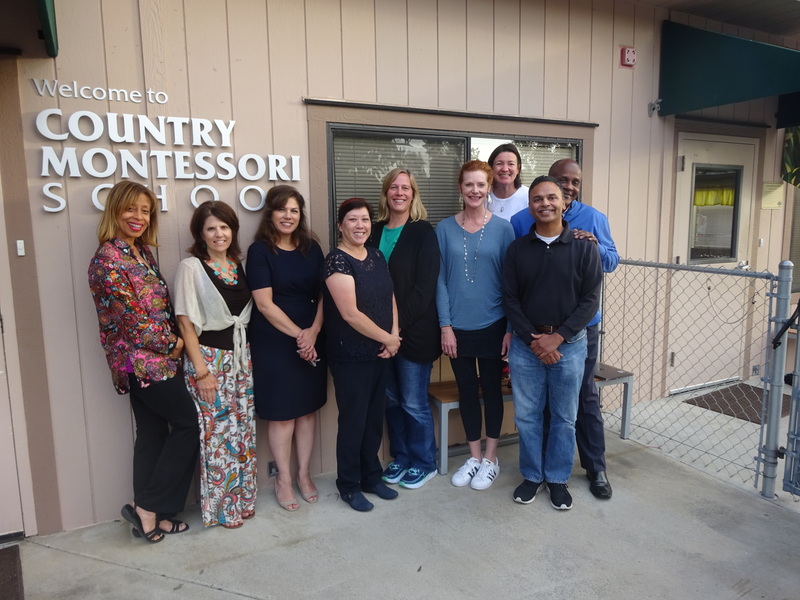 Our Country Montessori community is no different as we continue to grow our enrollment. Currently we have an enrollment limitation of 165 students as imposed by the City of Poway. As a community it is important to evaluate where we are today in addition to where and who we want to be tomorrow. In addition to deciding where we want to be tomorrow, we as a school need to assess who we want to be tomorrow. Who we want to be can not be decided by the Board of Directors. It must be a concerted decision making process between the parents and CMS staff. It must also take into account our fiscal health and the well being of our educational institution. We encourage all parent and staff members to get involved and direct the future of the school. Some ways to get involved are by participating in monthly Board meetings and communicating your ideas and comments. Should you have any questions or comments regarding the future plans of CMS please feel free to contact Adela Corrales 858-673-1756 or adelac@countrymontessori.org or any of the Board members. Let’s create our children’s future together! Board of Director meetings are held the second Monday of each month and are held in the Lower Elementary classroom. Everyone is welcome to attend. They begin promptly at 6:00 pm with an open session for all parents who are non members until 6:15 pm, where at that time it becomes a closed meeting. Once official minutes are approved they are posted under the parent protected tab. Ms. Zedelmayer is Managing Principal of Centerra Consulting, LLC, a life science based management consulting firm. At Centerra, she specializes in providing investor and public relations support for small to mid-size biotech, pharmaceutical and medical device companies. Prior to Centerra, she has held senior leadership positions at such diverse and leading companies as Hybritech, Ligand Pharmaceuticals, Amgen, and Amylin Pharmaceuticals. Throughout her career she has led a variety of functions including Investor Relations, Strategic Alliance Management and Information Technology.Ms.Zedelmayer earned her MBA with a Finance emphasis from California Lutheran University and bachelor’s degree in Electrical Engineering from San Diego State University. She is also a graduate of Kellogg’s Women’s Executive Leadership Program at Northwestern University in Chicago and is a certified Project Management Professional.Ms. Zedelmayer and her husband, Erik, have a daughter currently attending CMS. Ms. Rogers is an Associate Director of Program Management at Illumina, Inc. She has been in the biotechnology industry for over 17 years, of which more than 10 have been focused on Program Management. She is passionate about improving healthcare and is delivering the tools to do it. Prior to Illumina, She spent several years at Gen-Probe (now Hologic), working on a diagnostic test for Human Papillomavirus (HPV), which is the causative agent of cervical cancer. She has also worked on other infectious disease diagnostics, both at Hologic and at Life Technologies (now Thermo Fisher). Kathy earned her master’s degree in Microbiology from Yale University and her bachelor’s degree in Mathematics from the University of Vermont. Moving from Connecticut to California in 1997, she has made San Diego her home, with her husband and two sons, who both currently attend CMS. 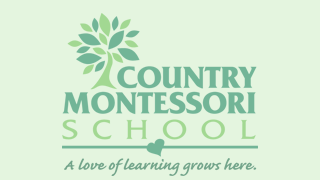 Ms. Corrales has worked at Country Montessori School for 25 years since its inception. She has worked as an Early Childhood Teacher and for the last year 6 years Ms. Corrales has held the position of Head of School. She holds an NCME (AMS) Early Childhood Montessori Teaching Credential and a BS in Human Services. Both of her daughters went through the entire program. Sean Gailey is CEO and Co-Founder of J!NX, the premiere lifestyle video game apparel brand (www.JINX.com). He has been passionate about gaming since age 7, and the years following have consisted primarily of art, slaying dragons, programming, rolling dice, leveling up, upgrading gear, and entrepreneurship (not necessarily in that order). As a serial entrepreneur, Sean founded and cultivated three start-ups prior to J!NX, one of which resulted in a successful exit. In 2014, Sean was honored with the EY Entrepreneur of the Year award in San Diego, the annual entrepreneur award presented by Ernst & Young. He is also a proud and dedicated member of Young Presidents Organization (YPO).Sean still maintains an insatiable urge to code and create games as a hobbyist game developer. He has published four games and always has at least one in development. Joy is a real estate executive with more than 20 years of diverse real estate experience in acquisition, disposition, financing, CMBS, structuring, asset management, underwriting and valuation over close to $10 billion of transactions. She had demonstrated strength in providing practical solutions to resolve financial institution clients’ real estate asset challenges. With extensive industry relationships, she can originate complex off-market transactions on behalf of the firm’s investor clients. Prior to joining Renaissance in 2008, Joy was a director in US Real Estate Capital Markets Group at Barclays Capital where she served as the head of the Hospitality practice in the US Real Estate Capital Markets Group. Before Barclays, she was a Vice President at Lehman Brother’s Global Real Estate Group. In addition, she had held positions at Donaldson Lufkin & Jenrette, HVS International, and Champion International Investment Corporation.Joy holds a Bachelor of Science degree with Distinction in Hotel Administration, with a concentration in Real Estate Finance, from Cornell University’s School of Hotel Administration. Joy is an active member in the Steering Committee of CRE/Interact, Urban Land Institute, Cornell Hotel Society, Cornell Asian Alumni Association, Cornell Club of New York, and Real Women Real Estate. Joy lives in San Diego with her husband, Michael and their son, Landan. She enjoys traveling with her family and being involved in all of Landan’s extracurricular activities. As an avid Foodie, she “speaks” international cuisine and enjoys cooking a great authentic Chinese meal. Mr. Kuppuswamy is Senior Director of engineering at Qualcomm Inc. overseeing R&D projects in latest 3G/4G wireless technologies. He has over 20 years of technical expertise in wireless technologies, holds numerous technical publications and has PhD in Electrical Engineering from University of Southern California. His family has been closely associated with CMS over the last seven years with the oldest son having graduated from the elementary program at CMS and the youngest son just starting into the program in the Eagles. Ms. Rehkopf has worked at CMS for 23 years. She is an Upper Elementary teacher in the Owl’s classroom. Ms. Rehkopf holds an AMS Lower Elementary Montessori Teaching Credential, AMS Upper Elementary Montessori Teaching Credential, AMI Early Childhood Montessori Teaching Credential and a bachelor’s degree in Child Development. Both of her sons attended CMS.